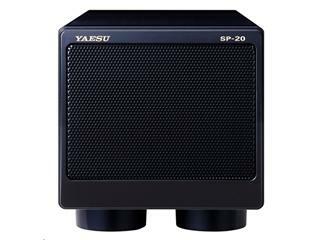 Yaesu SP-8 matching extension speaker to the FT-1000MP + Yaesu FT-920. 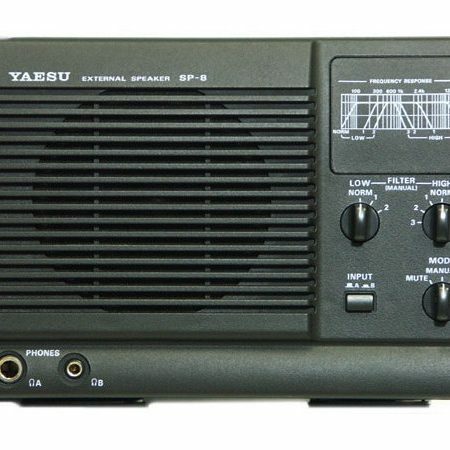 The Yaesu SP-8 is a base speaker with audio filtering. 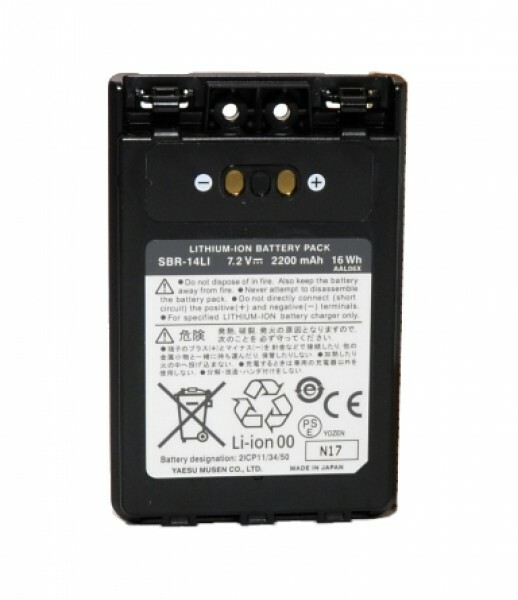 It features both a 1/4 inch headphone jack and a 3.5 mini jack on the front panel. Input A or B or may be selected by a push button switch on the front panel. 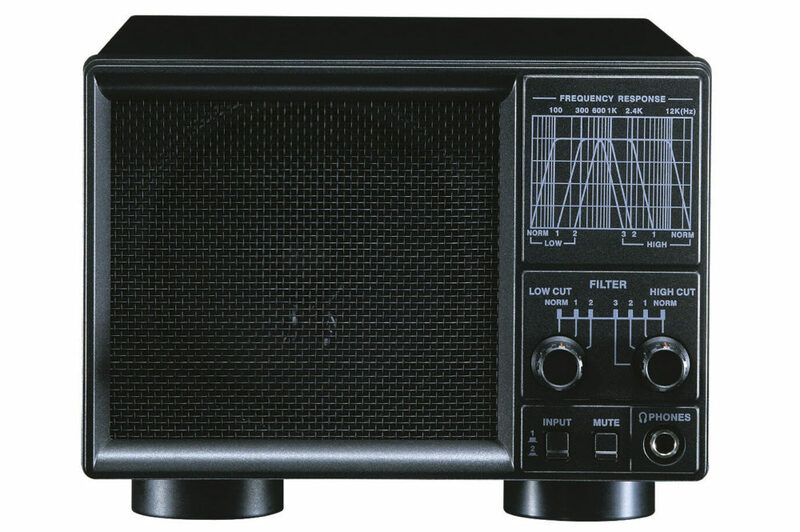 The panel also has a 4 position MODE switch: Mute, Manual, SSB, CW. There is a 3 position Low Cut Filter knob and 4 position High Cut Filter knob. The rear panel features Input Jack A and Input Jack B. There is also a Line Out Jack. All three of these jacks are RCA Phono type. The speaker comes with one audio cable (RCA to 3.5mm mini). 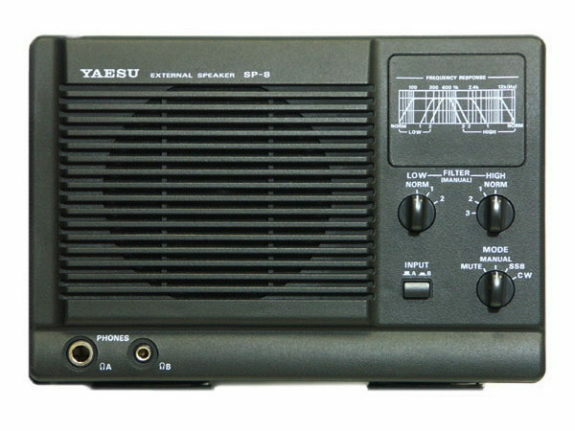 The SP-8 also has adjustable front feet. This will allow you to angle the speaker up.